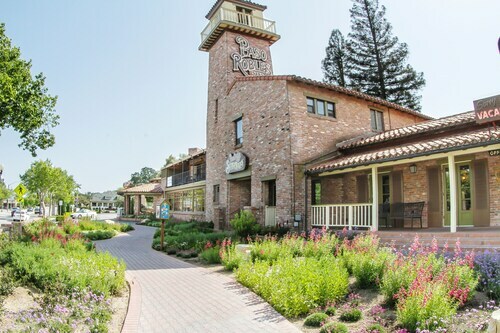 Situated in Paso Robles, this golf hotel is within 2 mi (3 km) of Paso Robles Event Center, Paso Robles Pioneer Museum, and Barney Schwartz Park. Ravine Waterpark and Paso Robles Children's Museum are also within 3 mi (5 km). Situated in a rural location, this spa resort is within 2 mi (3 km) of Firestone Walker Brewing, Peachy Canyon Winery, and Windward Vineyard. Castoro Cellars Winery and Tooth & Nail Winery are also within 3 mi (5 km). 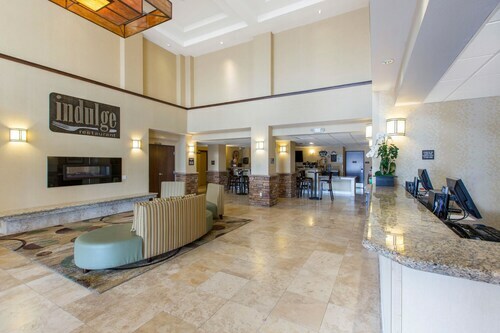 Situated in Paso Robles, this hotel is within a 15-minute walk of Paso Robles Event Center and Paso Robles Pioneer Museum. Paso Robles Children's Museum and Carnegie Library are also within 2 mi (3 km). 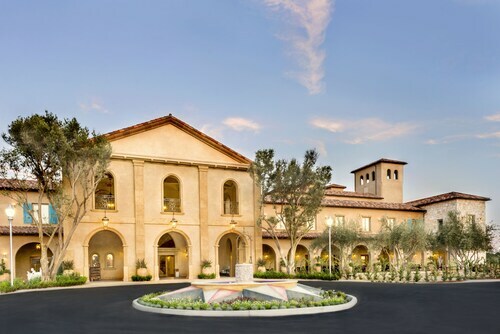 Situated in Paso Robles, this luxury hotel is within 2 mi (3 km) of Paso Robles Event Center, Paso Robles Pioneer Museum, and Barney Schwartz Park. Ravine Waterpark and Paso Robles Children's Museum are also within 3 mi (5 km). Situated in Paso Robles, this hotel is within 2 mi (3 km) of Firestone Walker Brewing, Peachy Canyon Winery, and Windward Vineyard. Castoro Cellars Winery and Tooth & Nail Winery are also within 3 mi (5 km). Located in the heart of Paso Robles, this historic hotel is within a 5-minute walk of Carnegie Library and Paso Robles Children's Museum. Anglim Winery and Paso Robles Pioneer Museum are also within 1 mi (2 km). Paso Robles Station is 8 minutes by foot. 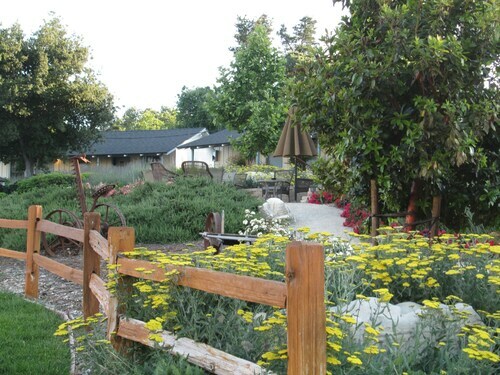 Located in the heart of Paso Robles, this motel is within a 15-minute walk of Anglim Winery, Carnegie Library, and Paso Robles Children's Museum. Paso Robles Pioneer Museum and Paso Robles Event Center are also within 2 mi (3 km). Paso Robles Station is 9 minutes by foot. Situated in a rural location, this hotel is within a 10-minute walk of Paso Robles Event Center and Paso Robles Pioneer Museum. Paso Robles Children's Museum and Carnegie Library are also within 1 mi (2 km). Paso Robles Station is 27 minutes by foot. Situated in Paso Robles, this hotel is within 3 mi (5 km) of Paso Robles Event Center, Paso Robles Golf Club, and Firestone Walker Brewing. Ravine Waterpark and Vina Robles Winery and Amphitheater are also within 6 mi (10 km). Paso Robles Station is 18 minutes by foot. Situated in Paso Robles, this hotel is within a 10-minute walk of Paso Robles Event Center and Paso Robles Pioneer Museum. Paso Robles Children's Museum and Carnegie Library are also within 2 mi (3 km). Paso Robles Station is 29 minutes by foot. Situated in the suburbs, this motel is within a 15-minute walk of Paso Robles Event Center and Paso Robles Pioneer Museum. Paso Robles Children's Museum and Carnegie Library are also within 2 mi (3 km). We stayed here once before and had a very good experience. However, this time we had a much different experience. First, when we came to check in at 6 pm, the lobby was closed with a sign to come back in 30 minutes. When we did return, they did not have our reservation on file. They found a room that was in terrible condition. The bedspread had stains on it, the bathroom was dirty and the room was old and in much needed repair. When I asked for a new room, each room they showed us had not been cleaned from the previous guest and it was 6 pm at night and check out is at 10 am. So why had no one cleaned the rooms? The last room that they showed us was a double and I had booked a queen. The room was tiny and not in good condition. The person assisting had no real idea of the situation and had to call the manager. By that time, we were frustrated and asked to void out the transaction. We found a much nicer motel even though it was a few dollars more. We will never return to this establishment. It was okay for one night of rest. The bath tub in the room was old and rusty. 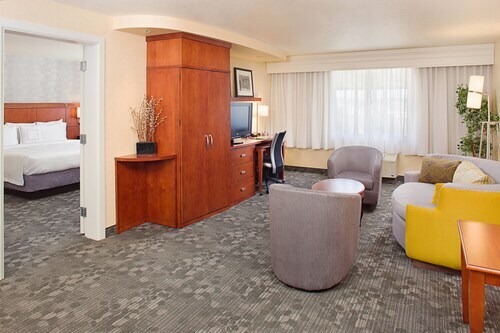 Ideal location for accessing the local attractions. Hands down the best property i have stayed at in the past 10 years. These people think of EVERYTHING. . 5 star accommodationsnnat a 3 star price. Seriously. Slippers and robe awaiting us in the room, door hanger alerting staff that your dog is in the room, treats for furry family membees in the lobby, the most luxurious beds and linens I have evwr seen in a hotel, 2 plush down comforters in the amoire next to the full size ironing board and steam iron, shampoo, conditioner and soap in permanent pump bottles in shower, Keurig coffee and machine in room along with a discretely disguised fridge, microwave and safe. Free wifi as well. A FREE sit down breakfast cooked to order was amazing. Staff was amazing. All this and a hotel that is GREEN. I loved that when you enter the room you put ypur key in a device in the wall. Thats righ inside the door amd keeps the lights on. You never lose yoir key and you never waste energy. There is an entire section of the parkimg lot designated to charging electric vehicles. Not one oe two but a whole bunch. 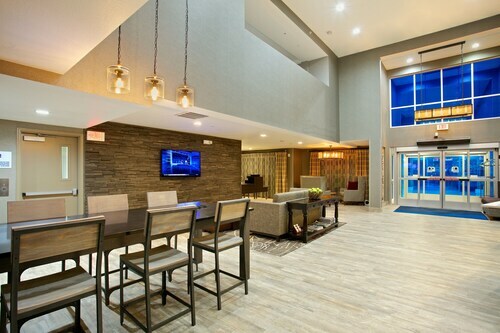 If this is the hotel of the future I am madly in love! Its like I stayed at a swanky $500 a night hotel for $20 more than the Motel 6 down the street. That my friends is the best $20 I have EVER spent. Three perfect days in Paso Robles, California. Opens in a new window. So you're considering a getaway to Paso Robles? If you want a place to call home that's located close to Paso Robles attractions, use Orbitz to pick your travel dates, and then presto! Look through the list of hotels and other accommodations to find those that are close to everything you want to see and do. We make it easy to find a convenient flight into San Luis Obispo, CA (SBP-San Luis Obispo County Regional), which is 27 mi (43.4 km) from the heart of the city. Find the ideal flight in nothing flat by using the filters on our site to narrow down your search. 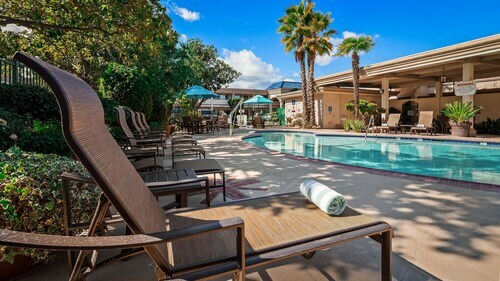 Take a dip when you stay at one of these Paso Robles properties, appreciated for their pools. What's the Weather Like in Paso Robles?